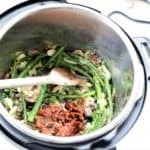 Instant Pot Asparagus Mushroom Risotto...ready to serve in 30. 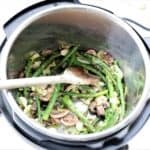 Instant Pot Asparagus Mushroom Risotto can be ready to serve in less than thirty minutes. 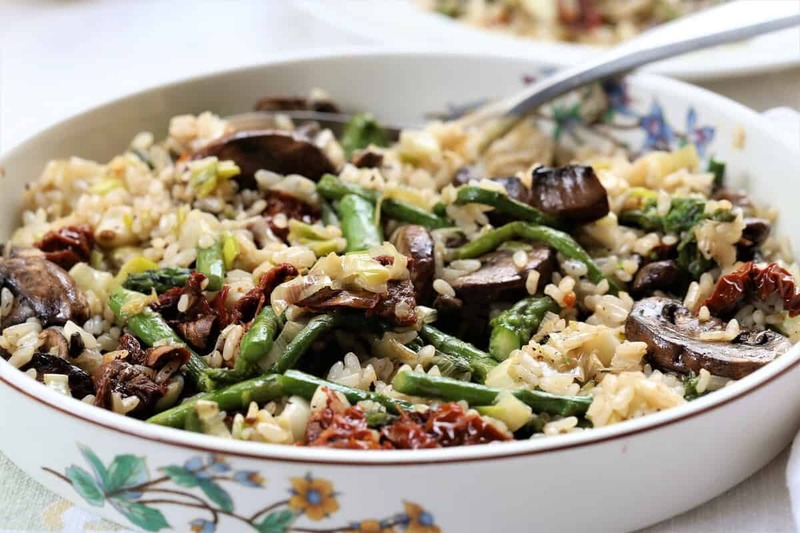 This dish is full of flavor and nutrition and will become quickly one of your favorites. 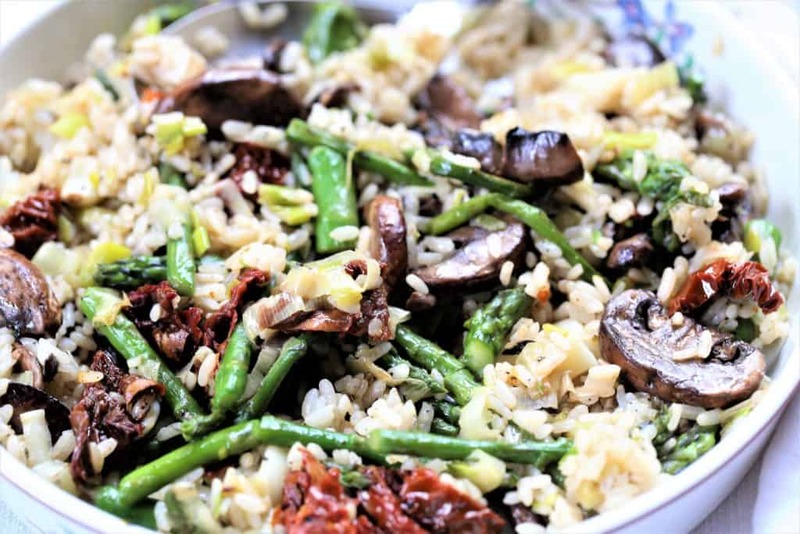 The combination of fresh mushrooms, asparagus and sun dried tomatoes gives the risotto flavor that is off the tasty charts. 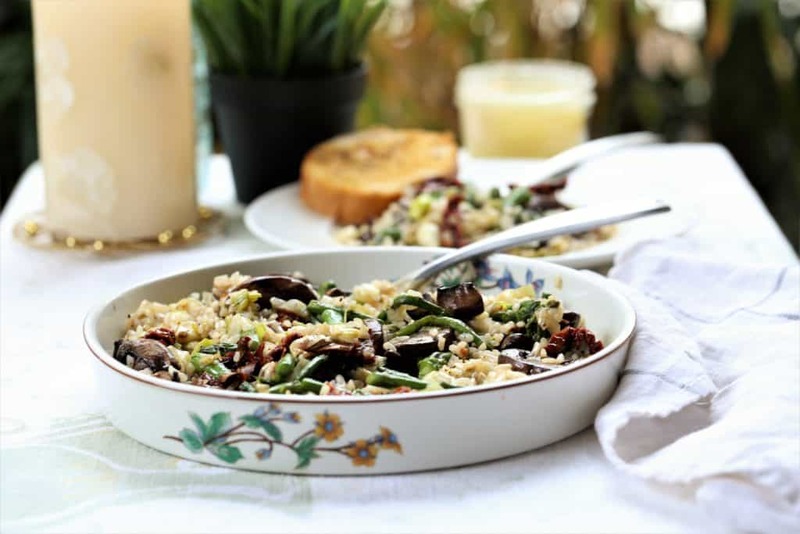 The preparation is so simple, and it is ready to serve in less than 30 minutes. Vegan, gluten free and dairy free. 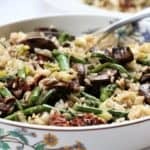 Asparagus Mushroom RIsotto in the Instant Pot is ready in less than 30 minutes, and a delicious healthy option for lunch or main course. Vegan, gluten free, dairy free. 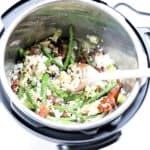 Add rice and water to pressure cooker pot. Cook on high pressure for four minutes. Let set for 5 minutes, and then release pressure. 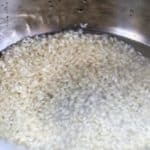 Remove rice from pot and set aside. Note: If you are not cooking in an Instant Pot, follow directions on rice package. Add olive oil, salt, pepper and all vegetables except sun dried tomatoes to pot. Saute vegetables for 4-5 minutes until done. Add sun dried tomatoes and mix. Add rice and saute 1-2 minutes until entire dish is heated. 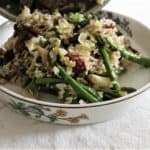 Serve with your favorite salad or bread. Serves 4 as main dish, 6 as side dish. Note: If you are not cooking with an Instant Pot, saute all ingredients as directed in pan. Place rice, water in inner pot. Cook on high pressure. 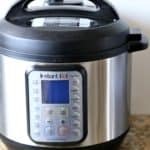 After rice is cooked, release pressure, remove rice from Instant Pot and set aside. Finally, toss in rice and saute.